I don't know why we don't eat more carrots? There's always a bag hanging out in the back of the veggie drawer and they're so good and easy to make. 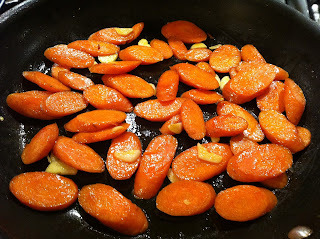 Here's a couple of quick ways to make your carrots feel more important, sauteed with garlic, and herb roasted. For the sautee, wash and slice your carrots at an angle, sautee in a hot pan with some extra virgin olive oil for five minutes stirring often, add some sliced garlic, sautee for another couple of minutes, and salt to taste. 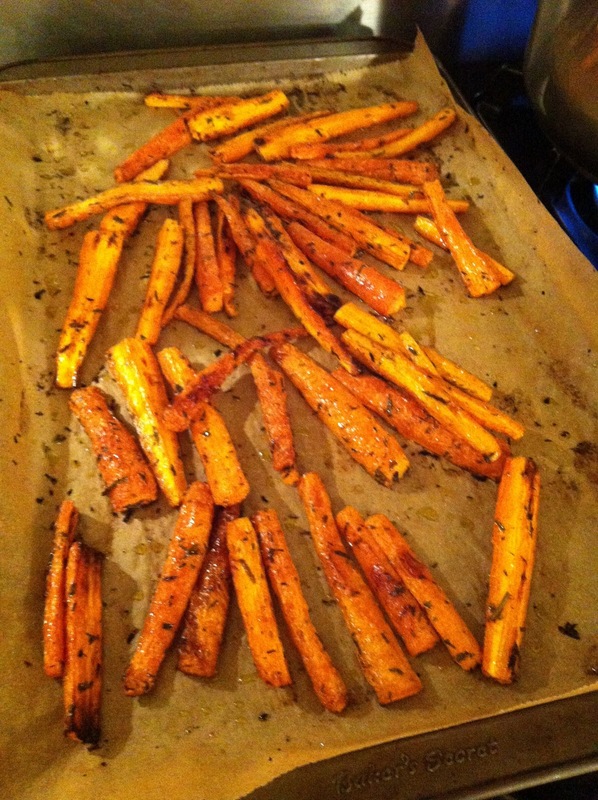 Alternatively for the roast carrots, preheat your oven to 400, wash and cut the carrots into three inch lengths then quarter each length. Toss them together in a large bowl with a little bit of extra virgin olive oil, your favorite dried herb, and some kosher salt and pepper to taste. Spread them on a piece of parchment or directly onto your cookie sheet and bake. Give them a little toss around after about 25 minutes then bake for another 25 minutes. Not bad...right?